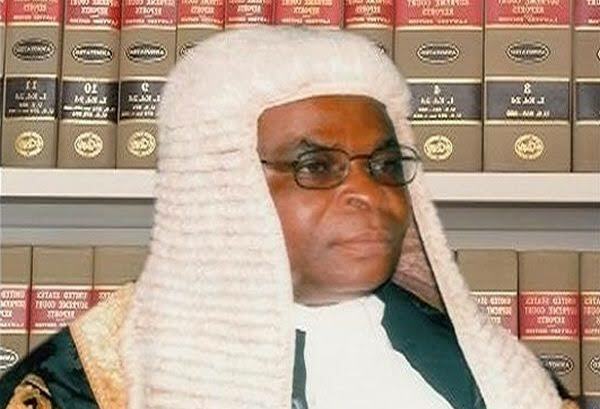 This may not be the best of time for the embattled Chief Justice of Nigeria, Justice Walter Onnoghen as The National Judicial Council has queried him over the alleged non-declaration of some of his assets. According to our source, the two judges were given seven days to respond to the queries. Onnoghen was asked to respond to allegations leveled against him, especially why he failed to declare all his assets, as stipulated by law. The Acting CJN, Mohammed, was also asked to explain why he allowed himself to be sworn-in by President Muhammadu Buhari without the recommendation of the Council, as stipulated by the Constitution. If the two judges are punished with dismissal, the third most senior Supreme Court Judge, Justice Olabode Rhodes-Vivour of Lagos State, will replace them.